The Coventry University Automotive and Transportation Design Degree Show will once again showcase the talented designers graduating from this highly regarded course. 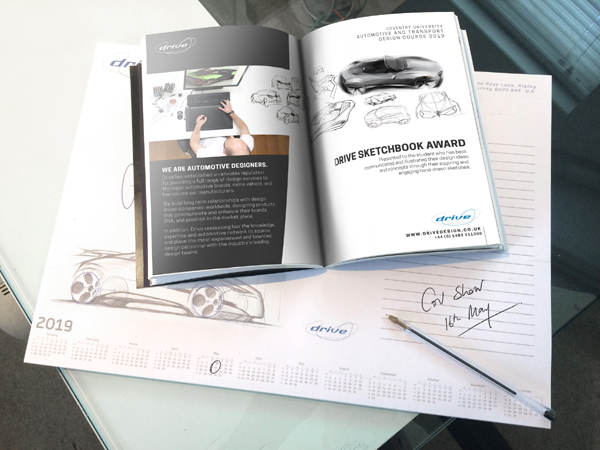 Drive will present the Drive Sketchbook Award to the student who has best communicated and illustrated their design ideas and concepts through their inspiring and engaging hand drawn sketches. A good example of what we will be looking for was demonstrated by Yuxuan Yang, 2019 RCA graduate and previously a Coventry student. Drive have supported naval architects and yacht manufacturers with their digital modelling and marketing imagery and animations. 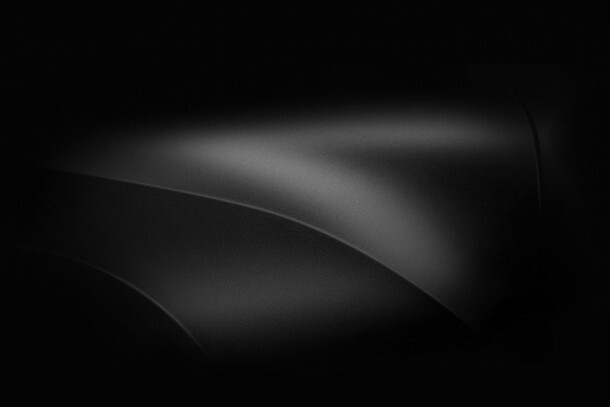 We have always shared the expertise and methodologies gained in automotive design with other product and transportation studios. Our aim is to provide a quality service, building our reputation of bringing real value to new clients. All knowledge gained from other industries is then incorporated into our work flows and brings benefit to all our clients across all sectors. Within the field of visualisation alone effects and techniques that were once considered ‘specialist’, time consuming and expensive are now more accessible that we can now use them on a day to day basis. Adapting to new hardware, software and workflows is always worthwhile and for this yacht animation we’ve used fluid and cloth simulation, photogrammetry re-creating real coastline and HDRI lighting to fully capture the mood of the sunset. This integration of techniques is a viable route to location shoots without the need to take the real product to a remote location. Working with yacht manufacturers’ marketing teams as well as supporting brokers, naval architects and yacht design consultancies, is an enjoyable experience allowing our creative team to work on projects without 4 wheels. Drive recently demonstrated VR at our studio to a number of our clients. Attendees were able to experience virtual reality environments created for design review, new yacht interiors and as well as walk around and sit in virtual vehicles. 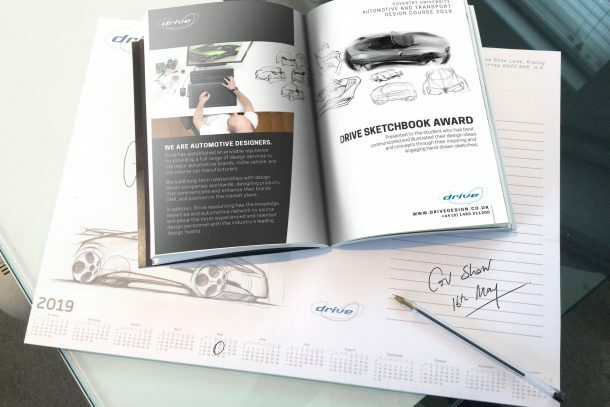 Drive have been creating both Virtual Reality (VR) and Augmented Reality (AR) applications for automotive and transportation clients, drawing on our experience of design, digital modelling and high quality CG imaging techniques. 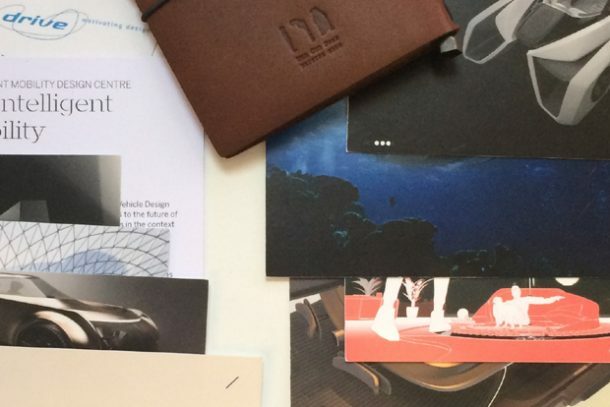 Recent Projects have included a VR train interior for a b2b exhibition, an AR App for the MG SUV launch, car configurator and a b2b sales and promotional App for Mirus Aircraft Seating. Our creative team embrace these immersive technologies because Virtual Reality as a storyteller, has the power to connect, communicate and engage audiences by enabling them to experience a story in a way no other media can. Virtual reality is something that is allowing design teams to develop concepts quicker and resolve issues earlier and here at the Drive Studio we now have a fantastic Virtual Reality design set up to which we are all becoming accustomed to using in our day to day work. So how have we facilitated the use of the VR set up within the studio? We are always finding new ways to use it, but within the realms of being a beneficial tool rather than being a slave to it. A good example is this Bugatti concept , that enables us to show off the benefits of using VR to our automotive clients. Projects like this are an important to everyone at Drive, with our passion for automotive design and especially for anything that goes fast is in our DNA. With the initial concept penned everyone was unable to resist getting involved with something as extreme as this. We worked together to design, resolve and refine the concept simultaneously combining our work flows through Photoshop, Alias and VR. The use of VR is a great tool to check the design through the modelling development process and helps both modeller and designer. An instant tool at our finger tips that allowed us to critique and rapidly develop the concept, producing a better result in a quicker time frame. As a tool VR makes you aware of the digital model issues you normally only realise when you are standing in front of a full scale clay. I am a firm believer in the development of a physical model, and VR is a benefit to allow any studio to start physical modelling stage from a more advanced point, speeding up the process and saving time. We use various systems from Autodesk VRED, Unreal Engine and Unity to create the Virual Reality experiences. We will be very pleased to discuss your requirements and support your adoption of the technology into your work flow.